Firstly, ask yourself how accurate do you practise? Also, do you plan how and what you’re going to practice? Finally, do you as a golfer fit into any one of the following categories? This is the type of practice where the golfer hits the range. Notably, after the golfer has hit a few wedge shots and perhaps hitting a few 6 iron shots. The golfer notices the sound of other golfers whacking the ball down the range! That sound sends the golfer straight for the driver and starts booming the ball down the range! The golfer is now hitting ball after ball without any practice swing or plan, except hitting the ball as hard as they can. 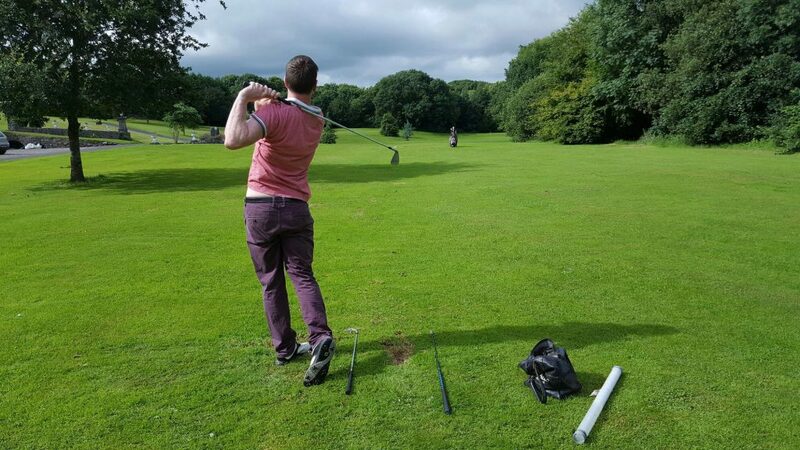 This golfer has taken a few golf lessons and he/she is practising their new swing movements. Also, this golfer is almost following the practice plan agreed with the golf coach. However, they are just practising lightly and their concentration is broken by looking around at everyone else at the range and wondering how they are hitting the ball. Post each competitive golf round. This golfer is taking detailed notes from their on-course decisions and the variety of shots played. This data is gathered and plotted to track performance and scoring trends. Certainly, this activity can identify where this golfer is not scoring. This golfer is specifically working on the particulars of his or her game whilst noting the contents of their practice session. After their practice session, this information is compared to the overall practice goal and purpose of that practice session. Then noted and logged. Remember you are in control of what you are doing today. You can control how you practice and only you can make the difference to how you play. I would suggest logging notes of how you do what you do. Ultimately, be specific and be accurate. The following are examples of golfing scenarios. Such scenarios can be avoided by practising as well as you can for the time that you have. The on-course golfer may take casual aim at the target and after a well-struck shot; the golfer misses the target by some distance or the ball overshoots the target by some distance. Alternatively, the practised golfer is practising aiming the club as accurately as possible for each practice range shot. The shot distance is noted for the range of shots hit. The on-course the golfer makes a practice swing for the sake of doing something before hitting a shot. The golfer takes one look at the target and hits the shot. Then complains continually about why his or her shots are not going towards the target. Alternatively, the practised golfer makes the best possible practice, uses their mind to see, feel and picture the shot they are about to play. Furthermore, the practised golfer plays the shot and if the shot was good or bad. Consequently, the golf knows that he/she did the best they could do at that time to play a good shot. The outcome is noted and the golfer plays the next shot without a fuss. Golf is fun and we can all enjoy how we play and how we choose to play. If you need to work on how you practice golf? Contact me today! Accurate Golf Practice.